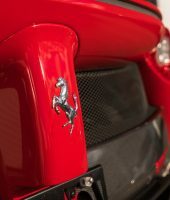 Fifth among the Ferrari supercars following its older brothers 288 GTO, F40, F50 and Enzo, the La Ferrari (literally meaning “The Ferrari” or in context, “Definitive Ferrari”) debuted at the 2013 Geneva Auto Show and soon after at Auto Shanghai, slated for a 499 total unit production which ran from 2013 to 2016. 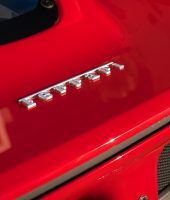 As usual with every flagship Ferrari model, all 499 La Ferraris were spoken for before production started with eager buyers from around the world lined up for the new generation Ferrari combined V12 petrol engine and KERS/plug-in hybrid Hypercar even with the cost of over $1,000,000. 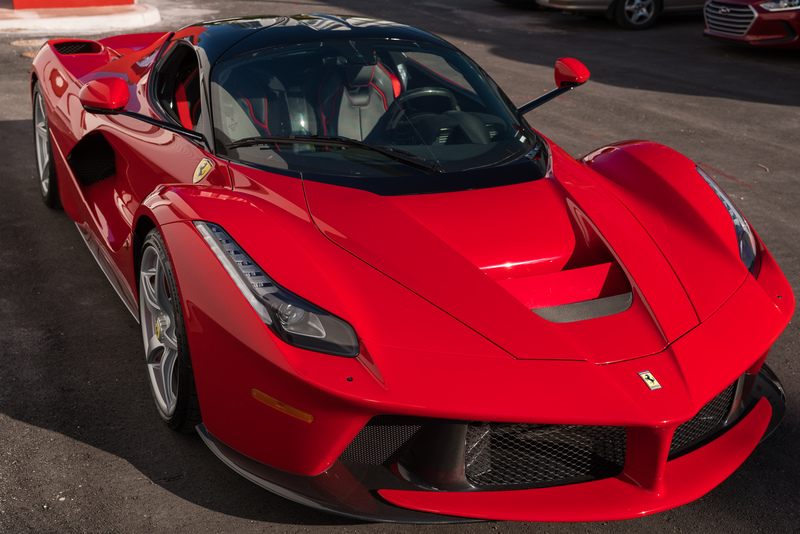 And, as usual, with each successive supercar Ferrari produces, is automatically given the title “Best car in the world” by the motoring media against stiff competition from the Porsche 918 Spyder to the McLaren P1. 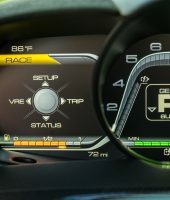 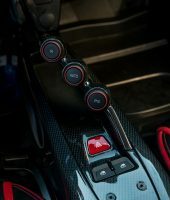 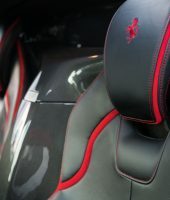 Given La Ferrari’s attributes, it’s hard to argue, the car is an absolute masterpiece of mechanical and carbon fiber engineering with the 6.3 liter V12 aided by HY-KERS producing 950BHP with all the movable aerodynamic aides imaginable and twenty-one onboard computers controlling the car’s various functions all within a very comfortable cabin. 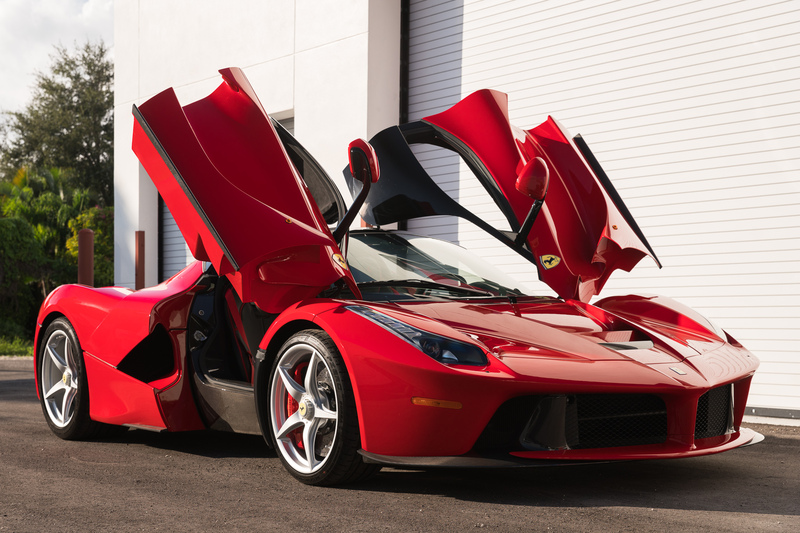 La Ferrari was done completely in-house at Maranello as long-time design collaborator Pininfarina was not involved in the project this time. 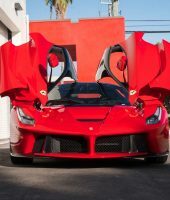 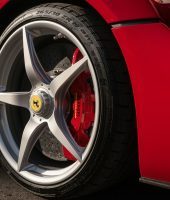 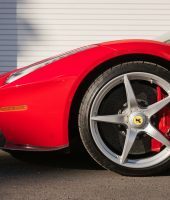 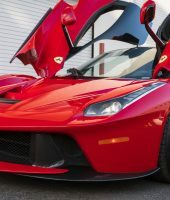 What stands out immediately on seeing the La Ferrari is the surfboard-like front wing that is suspended under the nose which aides in front downforce and helps sculpt the air around the car, very much in keeping with Ferrari’s history (dating to the F50) of developing their latest flagship creations to be as close in design to their Formula One cars as possible. 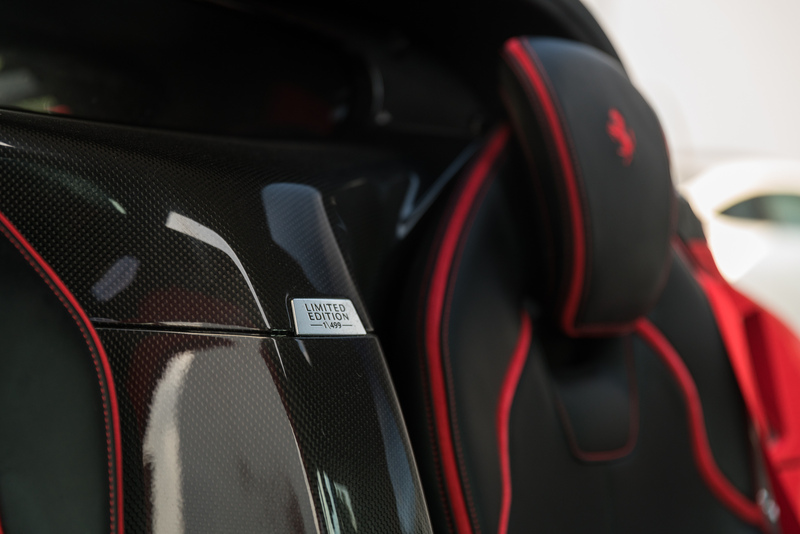 The other striking La Ferrari attribute includes the cabin which is a beautifully crafted carbon fiber sculpture tub that encapsulates driver and passenger like a full on prototype racing car. 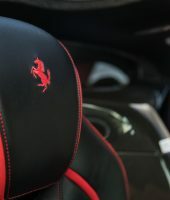 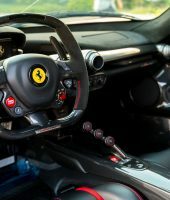 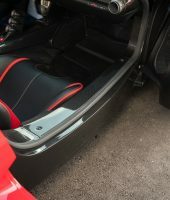 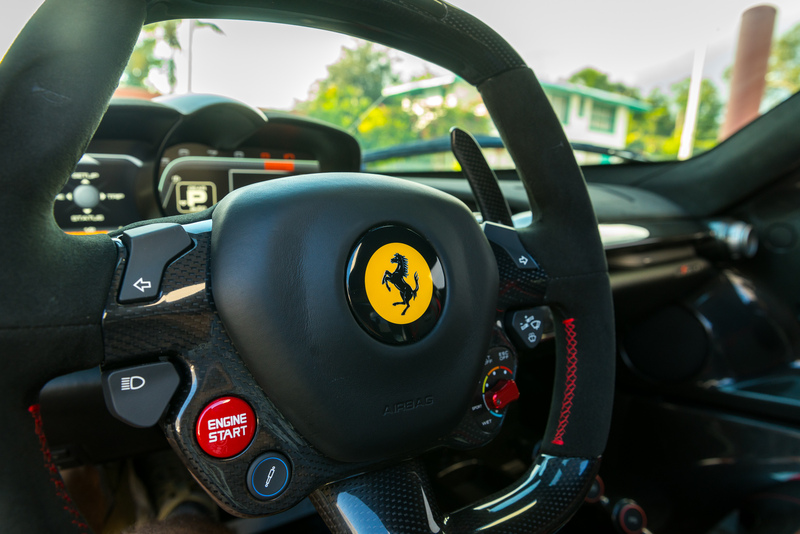 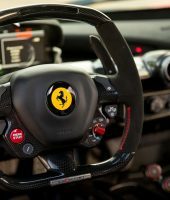 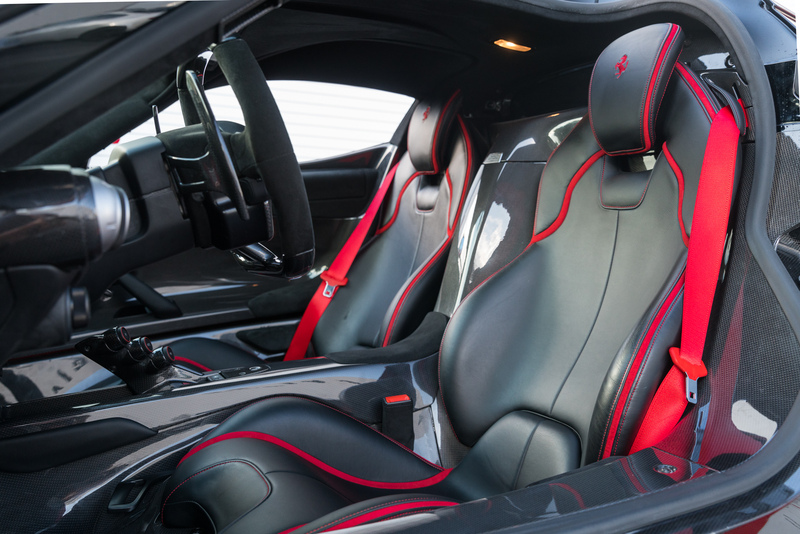 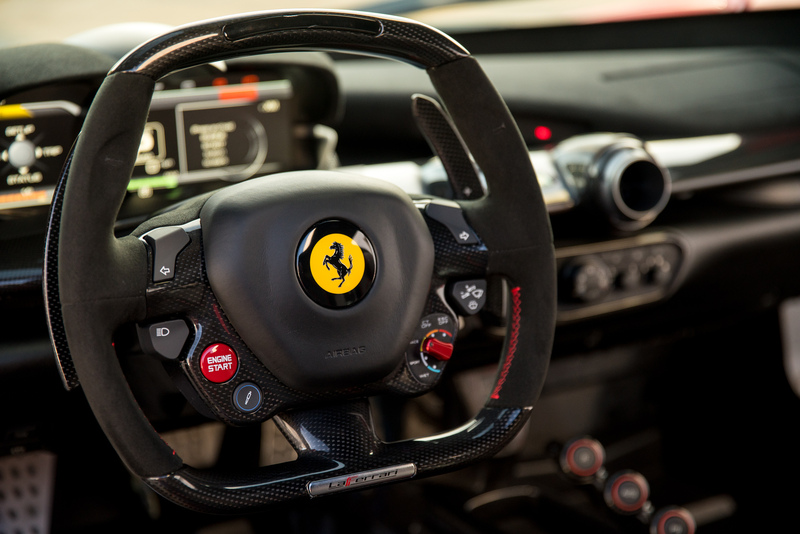 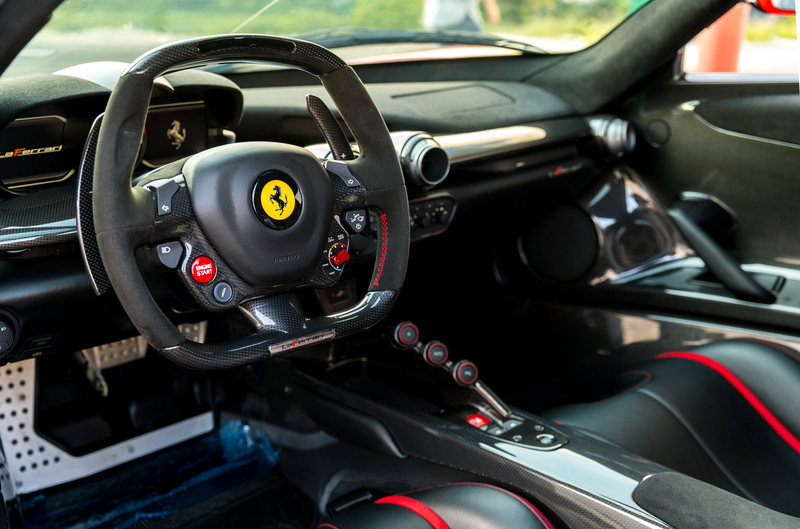 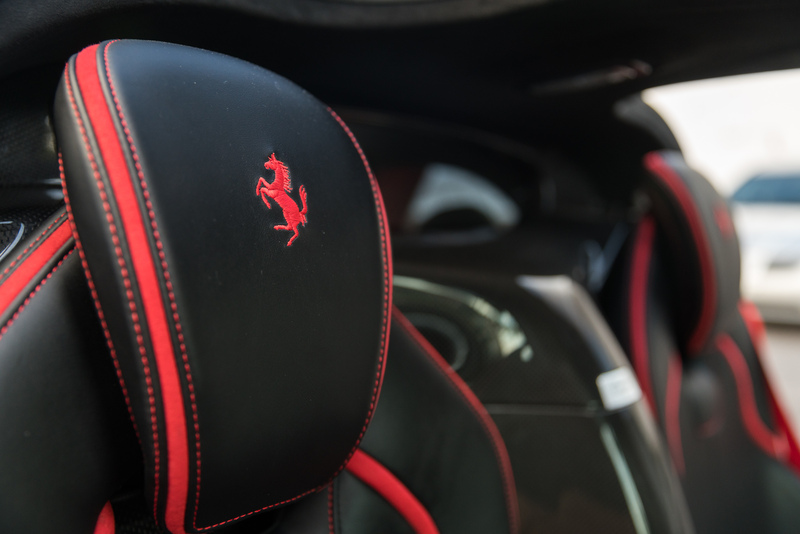 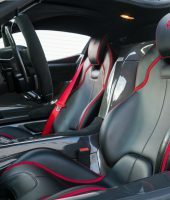 Rather than movable seats, Ferrari opted to keep the seats in place for optimum weight distribution and having the steering wheel and pedal cluster fully adjustable to comfortably accommodate the driver. 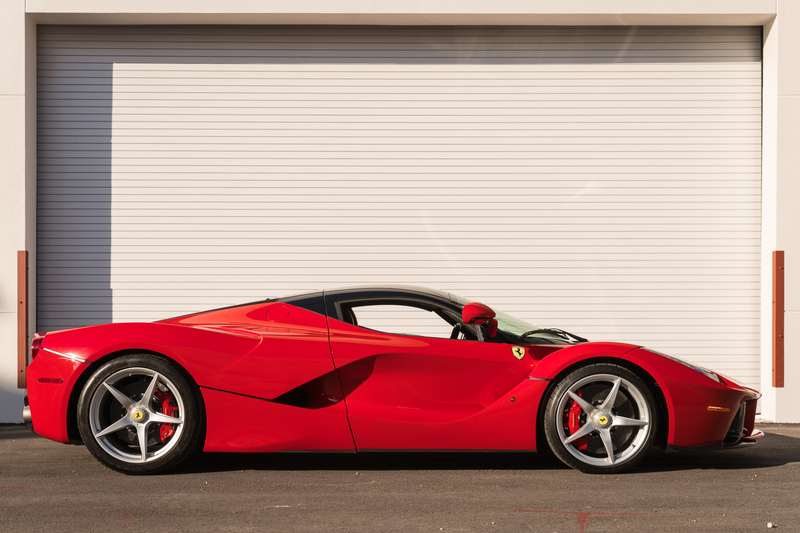 Overall, La Ferrari is a long, elegant and dramatic design with just enough Enzo styling cues to bring it all home. 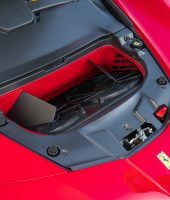 Many point to the extended outboard mirrors as the most striking of La Ferrari’s attributes but these small, light racing themed mirrors have been seen on Formula One and sports cars for so many generations now that they’re hardly surprising to see on a Hypercar of this level. 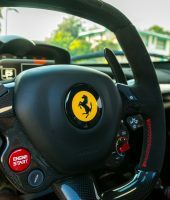 There is not a square centimeter of the car that isn’t thoughtfully sculpted for speed and elegance as Ferrari once again raised the bar on the design which others may only try to duplicate but may never eclipse. 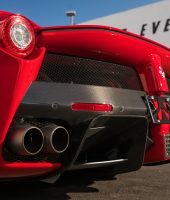 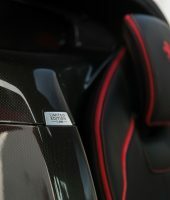 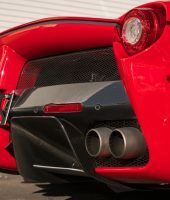 The carbon fiber monocoque was designed by Ferrari Formula One technical director Rory Byrne, the respected South African designer and engineer who’s designs have won ninety-nine Grands Prix, seven constructor’s World Championships and seven driver’s World Championships, and represents twenty-seven percent more torsional rigidity and twenty-two percent more stiffness than the Enzo. 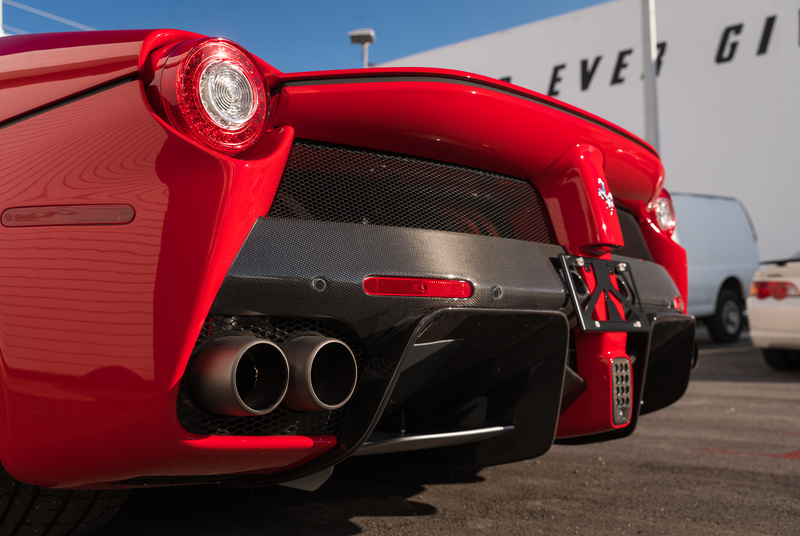 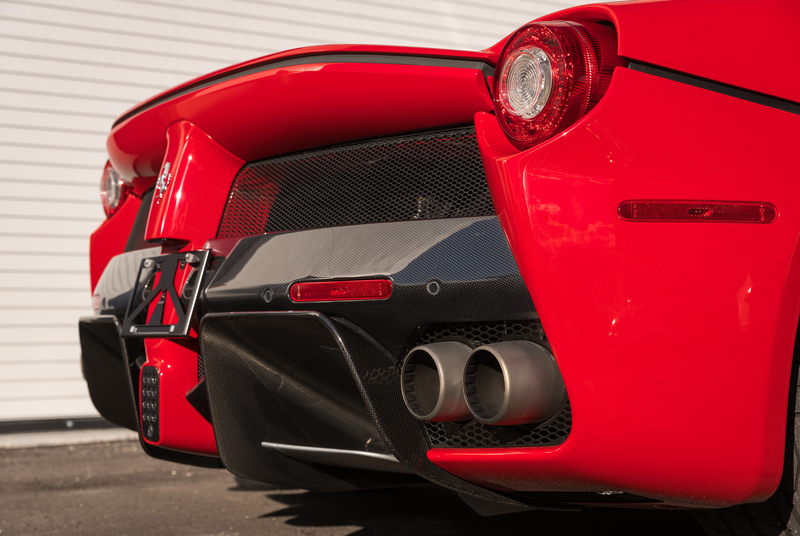 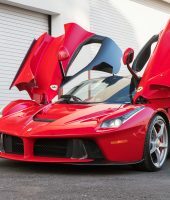 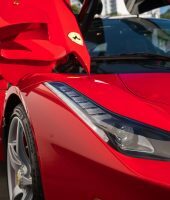 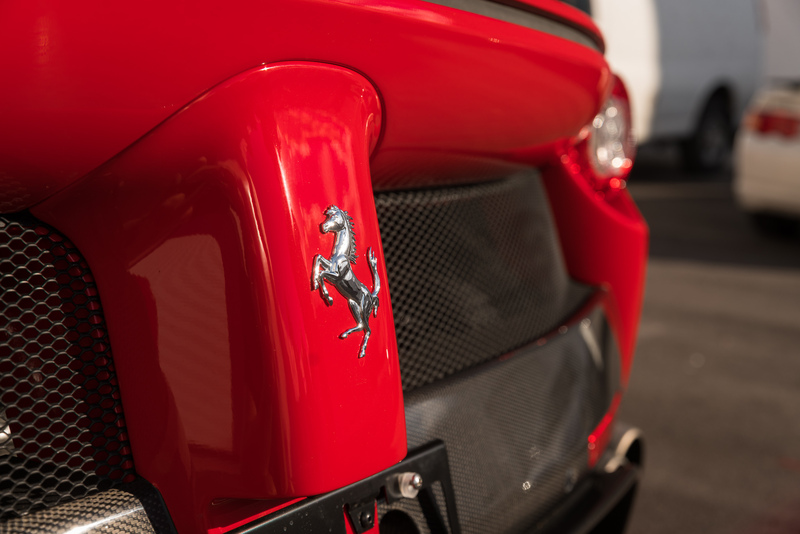 La Ferrari represents the Ferrari’s first attempt to produce a mild hybrid, while making the most powerful engine/drive train in the company’s vaunted history and reducing fuel consumption by forty percent. 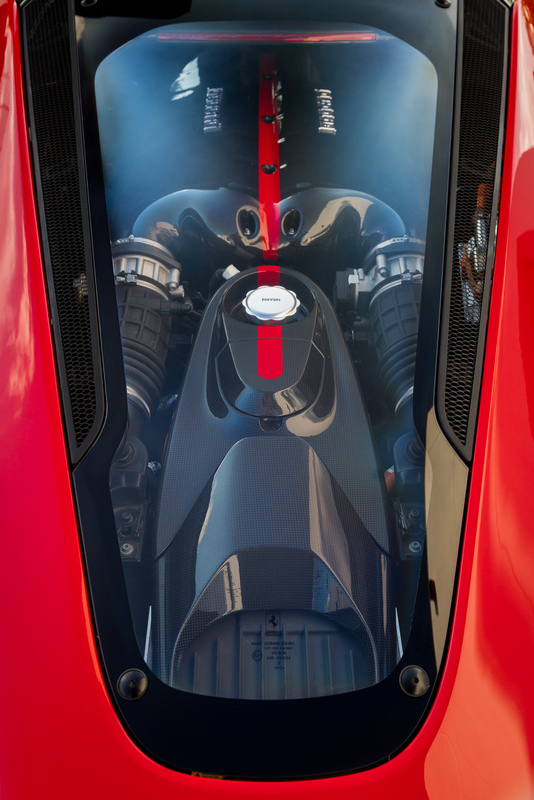 La Ferrari’s internal combustion petrol powerplant is mounted longitualinally in the rear with rear wheel drive layout with Ferrari F140 direct injection 65º 6.3 liter V12 generating a maximum power output of 800PS (789BHP; 588kW) at 9,000RPM and 700N⋅m (516 lb⋅ft) of torque at 6,750RPM supplemented by a 163 PS (120 kW; 161HP) KERS unit (called HY-KERS), which provides short bursts of extra power mated through its seven-speed F-1 paddle shift gearbox and double wishbone front suspension and multi-link rear suspension. 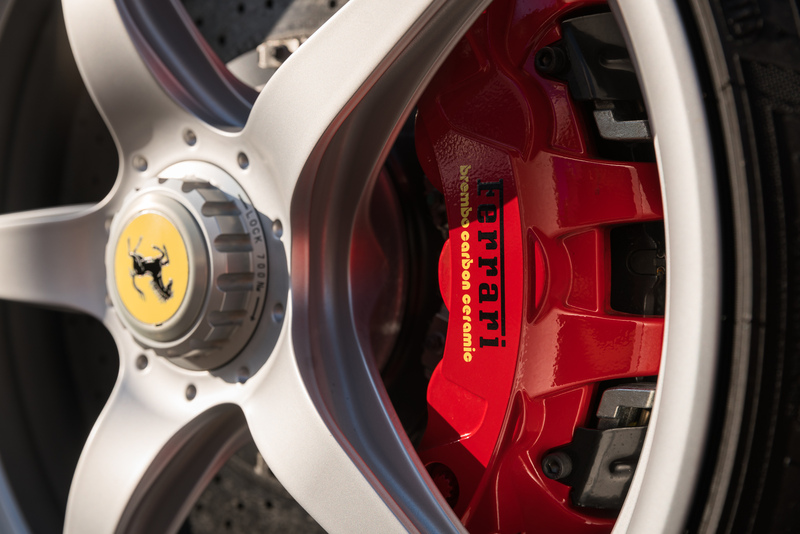 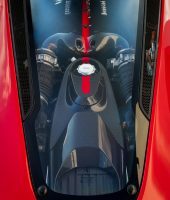 How La Ferrari HY-KERS system works. 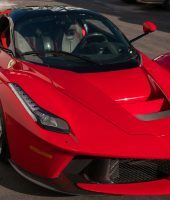 Ferrari applied Formula One racing technology to produce a hybrid supercar that uses less fuel, emits fewer grams of Co2 and which, oh by the way, accelerates to 60MPH in less than three seconds. 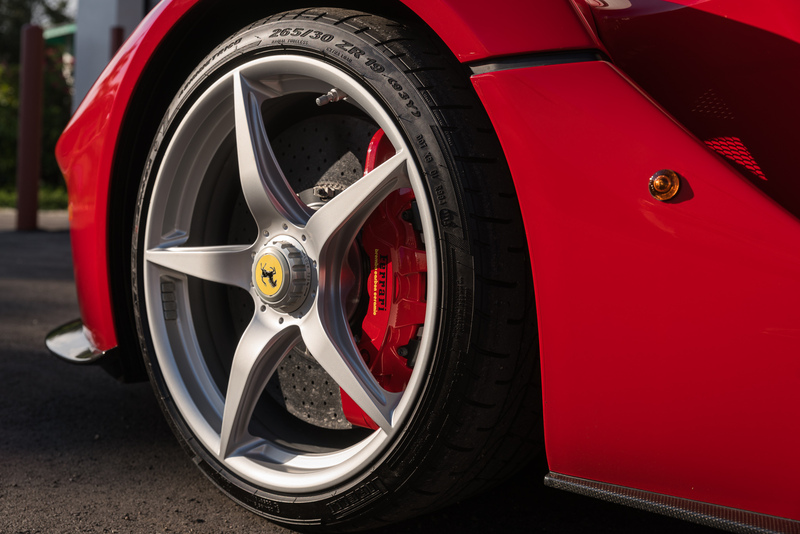 La Ferrari captures excess power under braking or when the engine produces a surplus of power (which is always) to a battery pack and then to two electric motors. 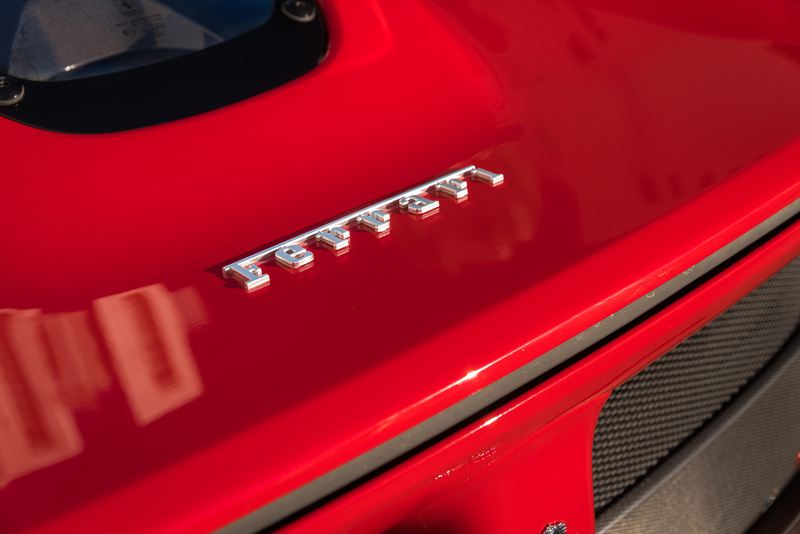 One provides boost to the V12 gasoline engine and the other drives accessories. 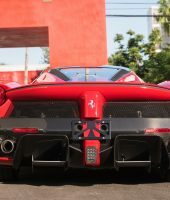 La Ferrari’s HY-KERS (Hybrid Kinetic Energy Recovery System) system runs along with the engine, never on its own, so it is technically considered a mild hybrid as Ferrari has made its distaste for fully electric cars known. 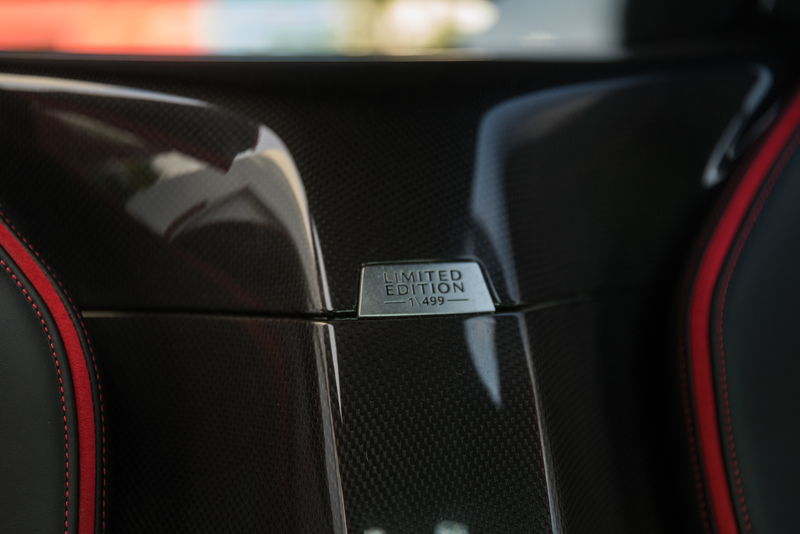 Consisting of two electric engines capable of delivering together a peak power of 120 KW (about 163 HO). 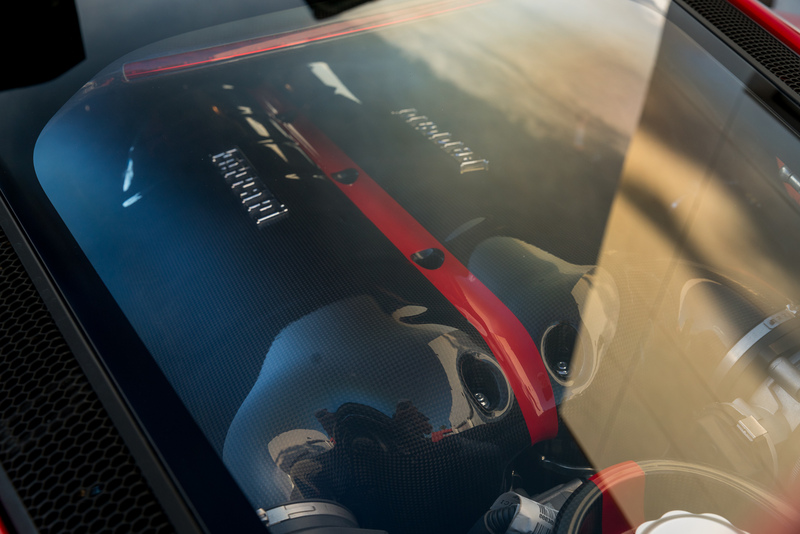 La Ferrari HY-KERS system is able to push the car to record performances and simultaneously reducing emissions by about 40%. 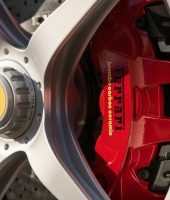 The two Magneti Marelli electric motors incorporated in the HY-KERS system are controlled by two associated inverters, which are compact in terms of weight and size. 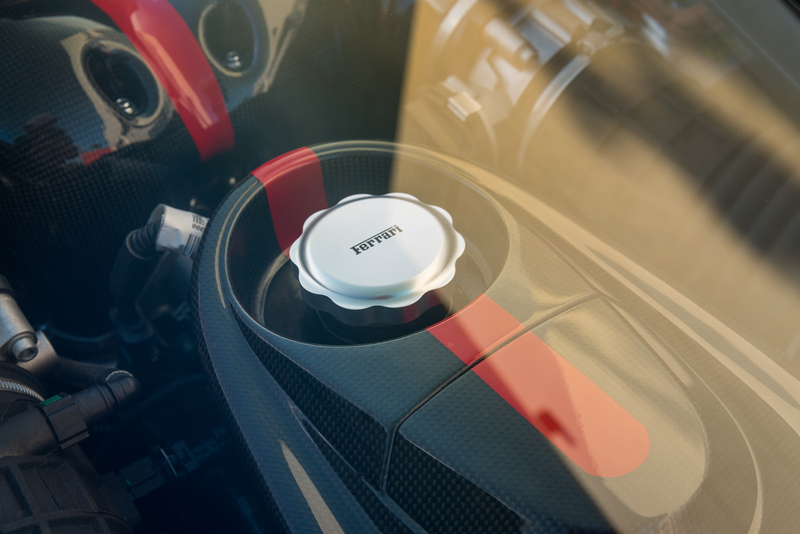 The first electric motor provides drive to the vehicle and recovers kinetic energy during braking, storing the accumulated energy in the lithium batteries and thus activating the power over-boost. 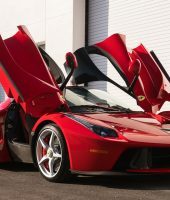 The second electric motor, on the other hand, driven by the combustion engine, generates electricity used to keep the charge level of the lithium batteries constant, and also provides energy for standard vehicle systems (lighting, air conditioning, etc.). 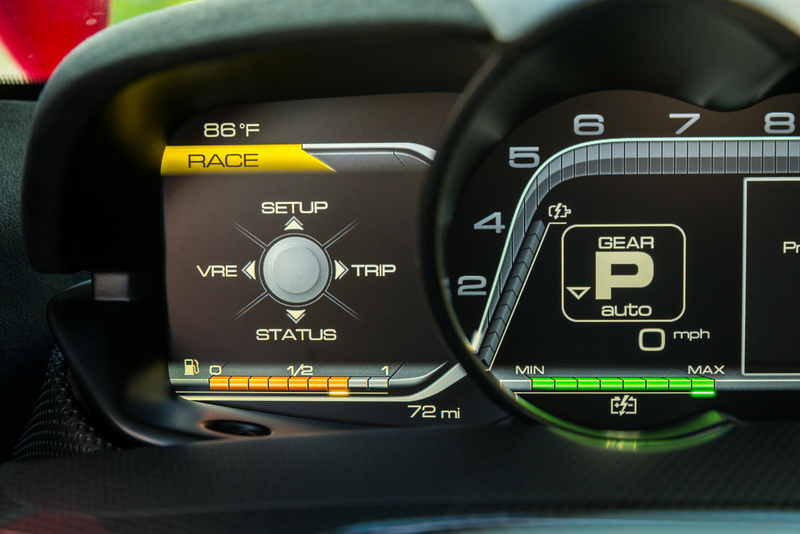 Hybrid technology is about capturing and recycling energy that would otherwise be wasted. 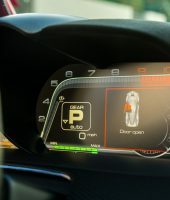 The Toyota Prius series is the best example in the passenger car realm with active hybrid technology that allows the vehicle run a mile or two on battery before the petrol engine kicks in. 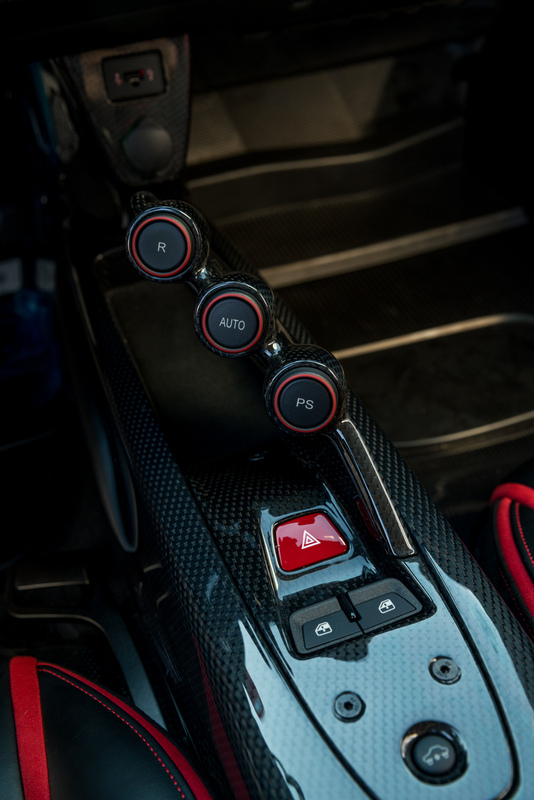 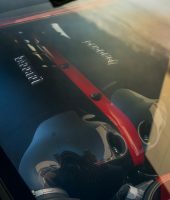 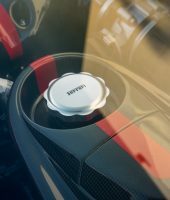 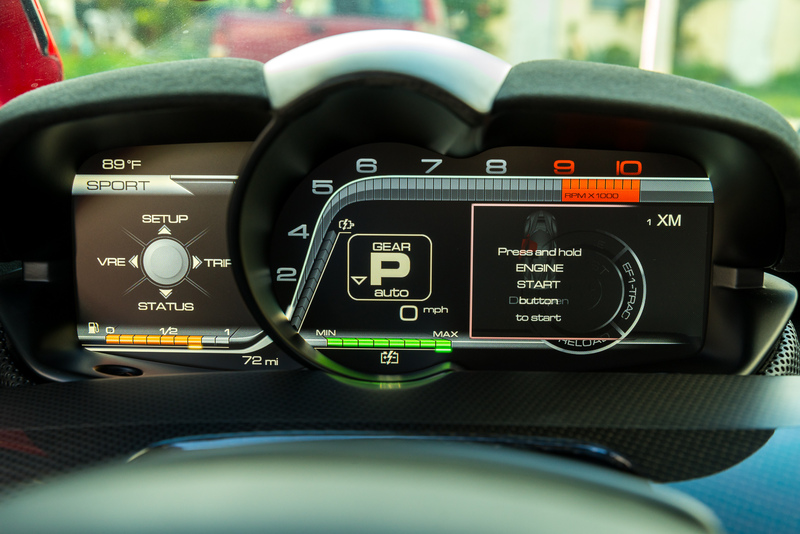 In La Ferrari, the system developed jointly between Magnetti Marelli and Ferrari, the energy is diverted to a pair of battery packs bolted to the carbon fiber frame of the vehicle. 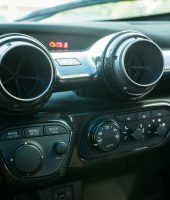 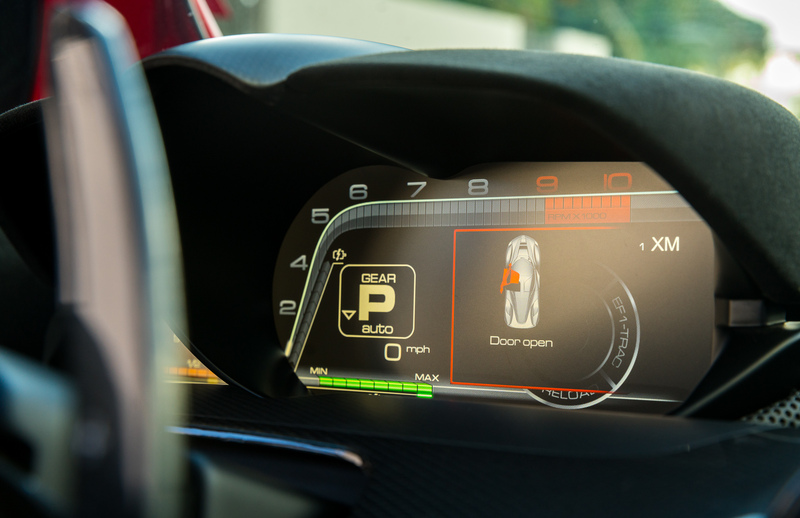 One is for the propulsion system while the second provides power to electrically driven accessories that include the radiator fan, windshield wipers, air conditioning or even the audio system. 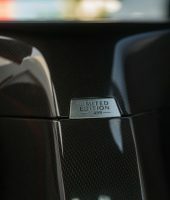 Usually there’s a limit to how quickly power may be push into a battery pack. 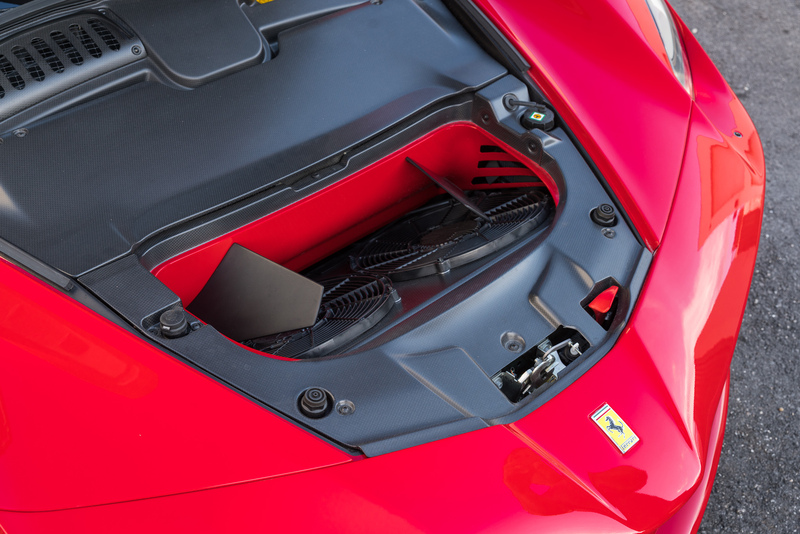 Ferrari says it can charge the battery even under full braking that activates ABS. 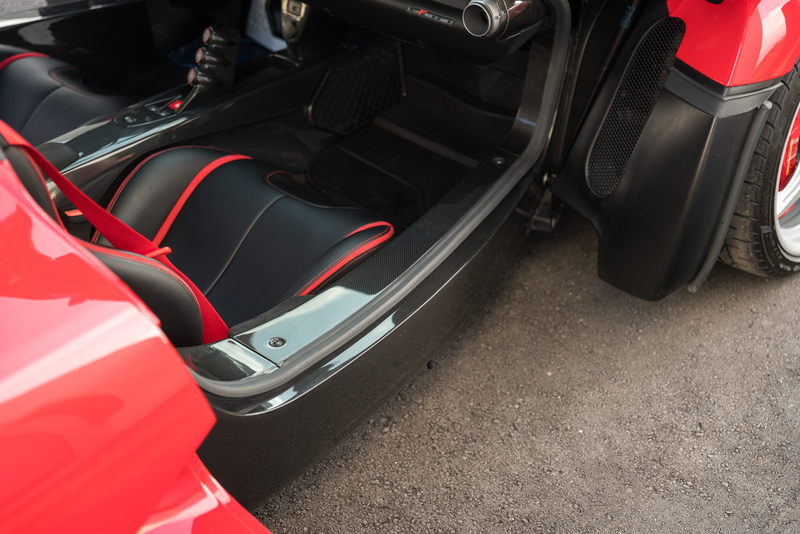 The engine can also charge the battery directly, just as petrol cars do through their alternators. 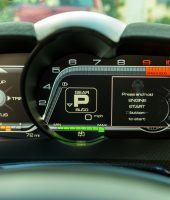 The electric motor outputs 120KW or 163NHP on top of the engine’s 800MHP. 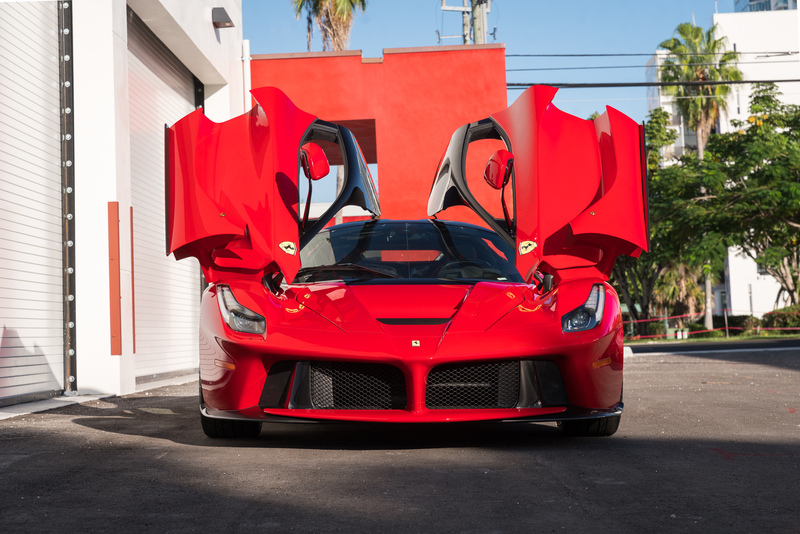 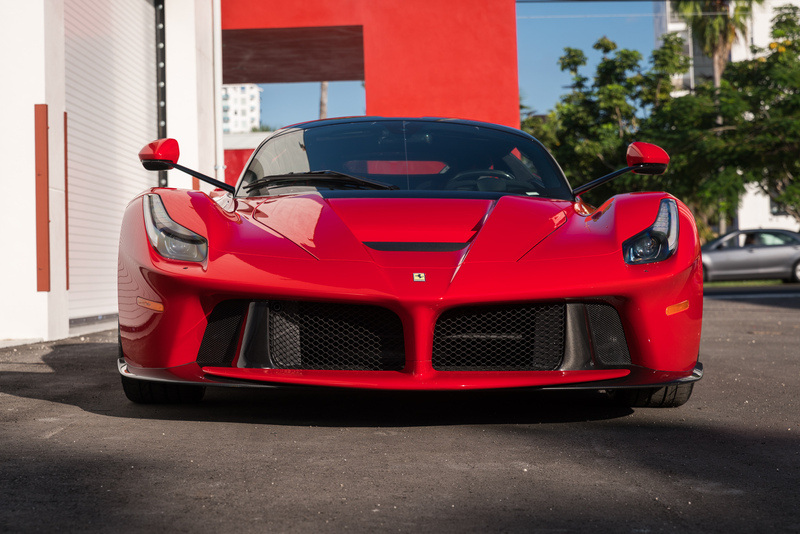 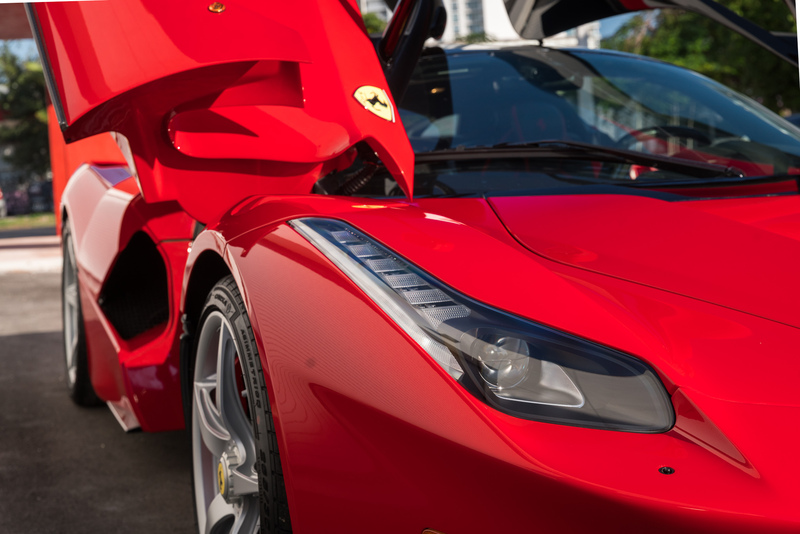 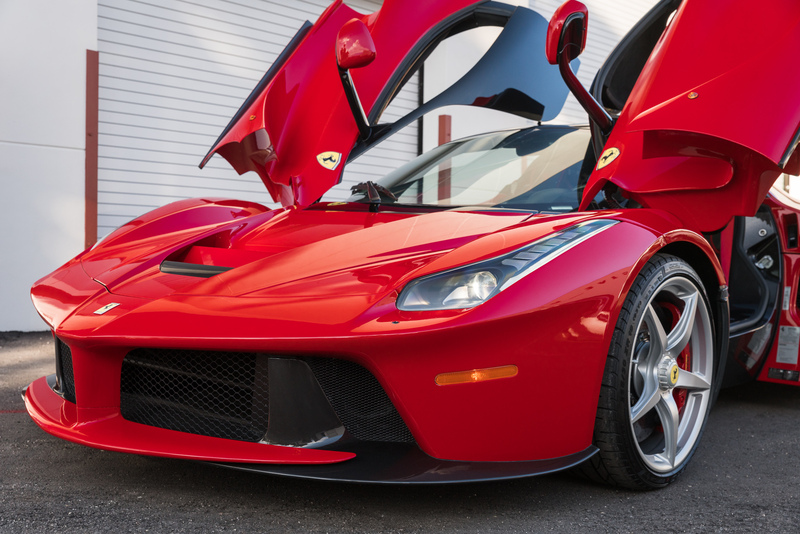 In the La Ferrari, this translates to the top speed of 217MPH. 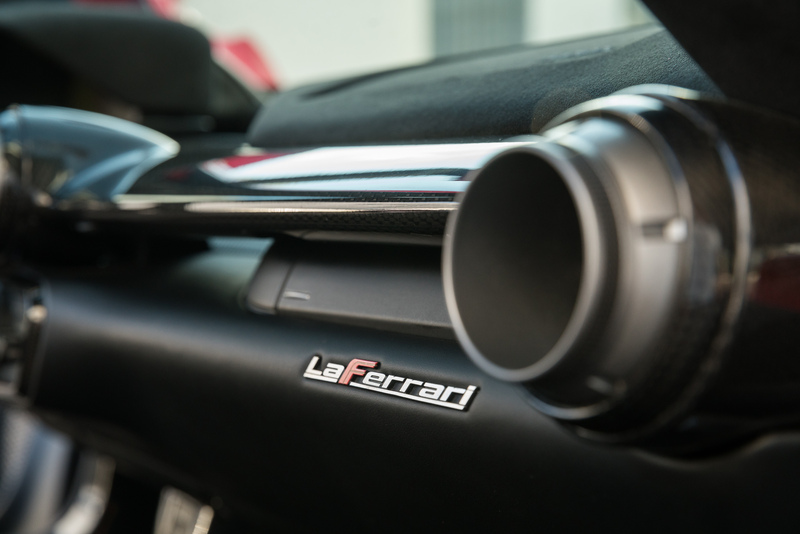 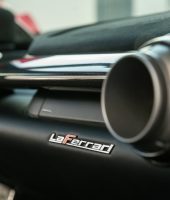 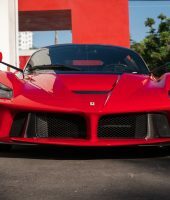 Environmental gains are modest, the La Ferrari emits 330 grams of Co2 per kilometer in European emissions testing, about 10% less than previous similar type Ferrari V12s. 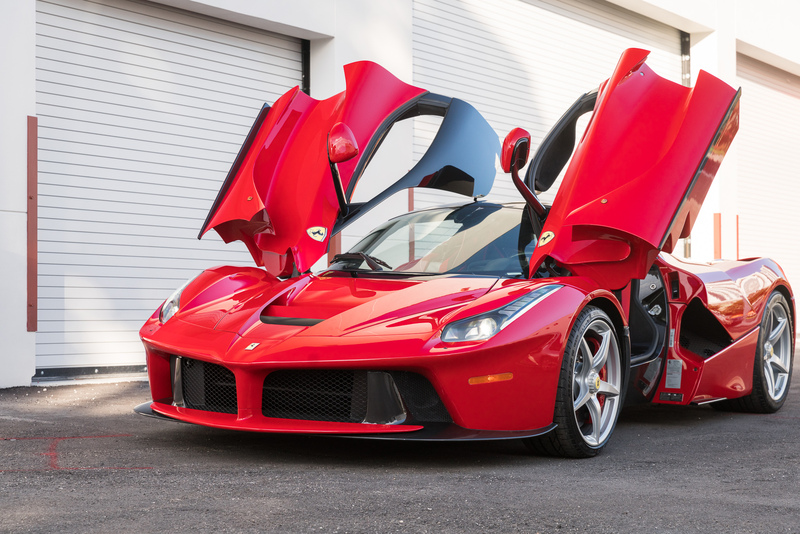 A prototype that can run on battery power reduces La Ferrari’s emissions to 220 grams per kilometer. 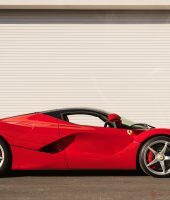 Ferrari states that the La Ferrari isn’t an active hybrid because that is not part of the car’s mission currently. 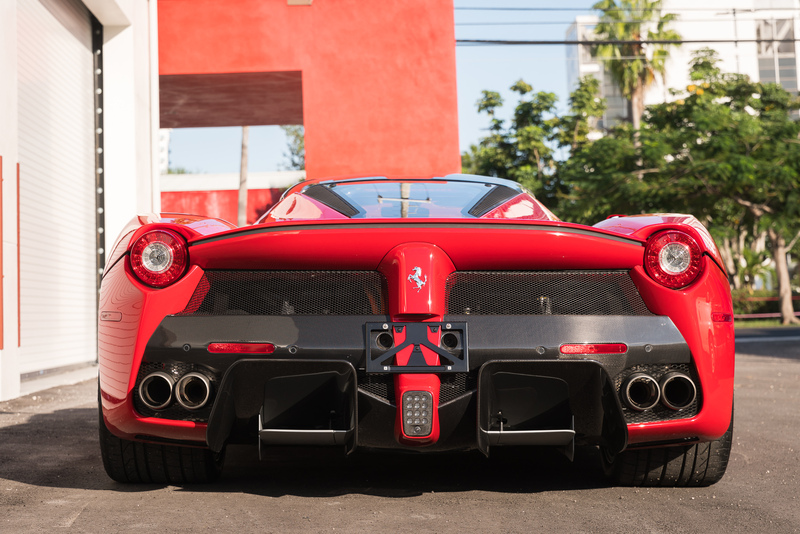 La Ferrari in the Marketplace. 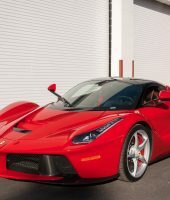 Those fortunate enough to have plunked down their initial $1,000,000 to be the first owners of La Ferraris have seen their investments pay off handsomely as La Ferraris are now trading for well north of $3,000,000 representing a 300 plus percent increase in value from 2015 to present with no let-up in sight. 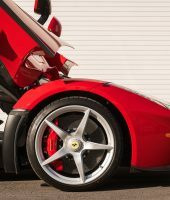 Special La Ferraris have sold for as high as $7,000,000 to $10,000,000 for a La Ferrari Aperta at auction, both for charity. 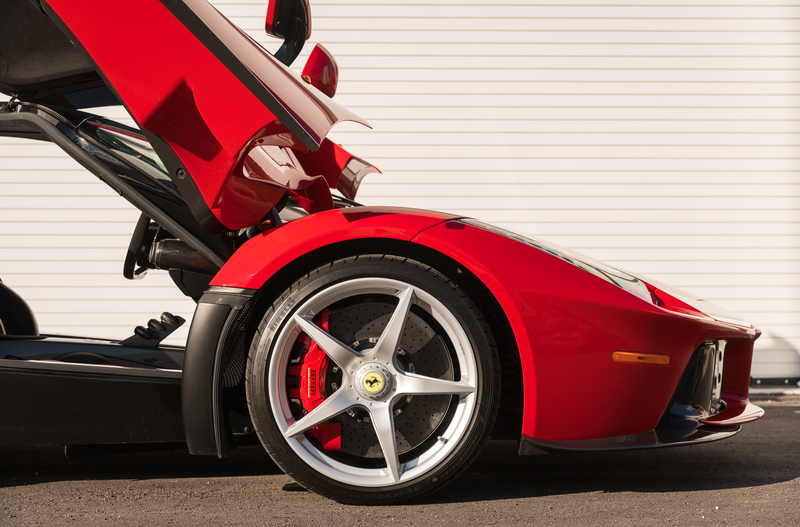 So, the sky really is the limit on these phenomenal cars as prized collector’s editions. 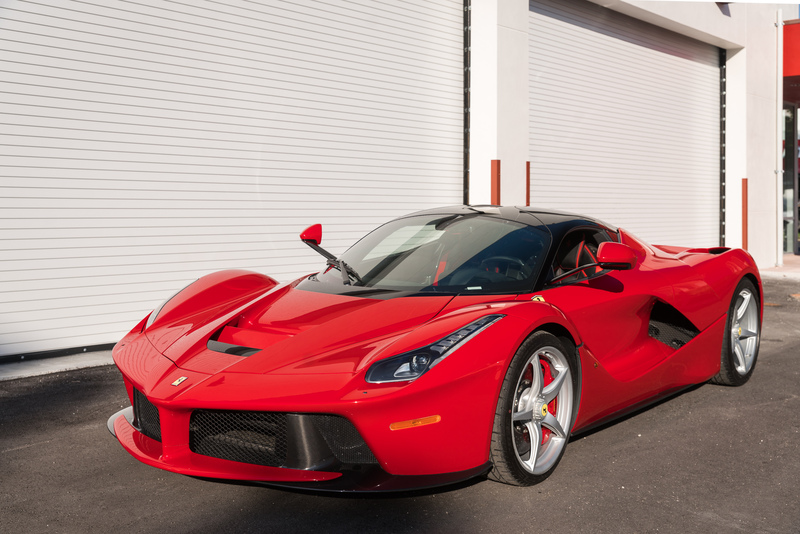 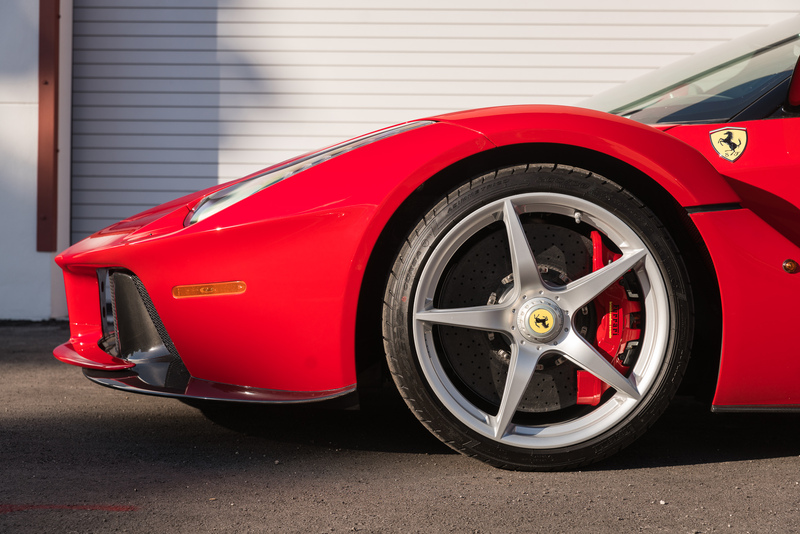 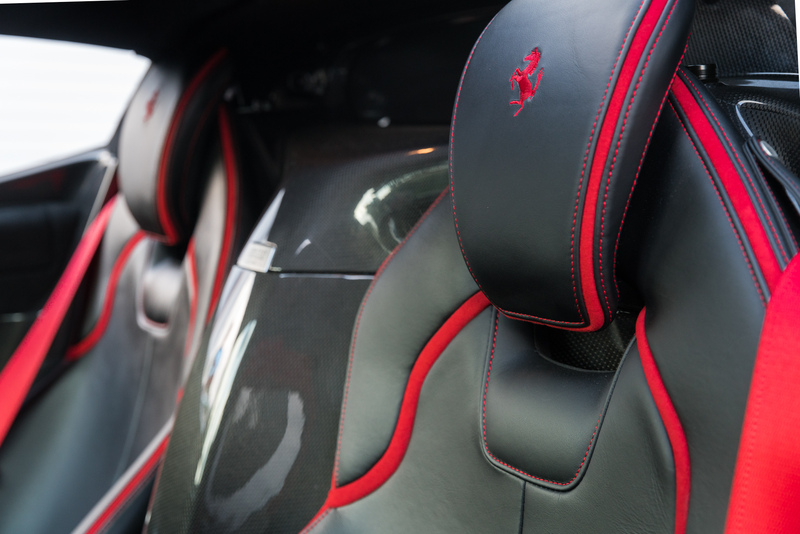 This La Ferrari, #9600, comes in traditional Ferrari Rosso Corso with Nero black interior and red seat inserts, is fully optioned and comes with books, manuals showing on seventy-two miles on the odometer and must be seen to be appreciated.